The University Lakes Justice Court is frigid, and the regulars seem to know that. They’ve brought jackets along with their paperwork and are patiently waiting for their case to be called. Its Tuesday, and this morning’s docket is not your typical one. It’s full of evictions. Judge Tyler Kissell begins to call out the names of people who have been given an eviction notice by their landlord, as court clerks manage the massive stack of paperwork. Of the roughly 80 names called that morning, fewer than 10 are actually present. “If I have 100 eviction cases, I usually have 7 people show up,” Kissell said later to the Arizona Mirror. Even with those high numbers, Phoenix doesn’t even rank in the Top 100 of highest eviction rates in metropolitan cities in the United States, according to EvictionLab.org. However, Tucson ranks 25. Despite this, agencies that focus on helping those in crisis are seeing higher numbers and fewer funds. Last year, the Tempe Community Action Agency assisted 22,000 people in crisis, the most in the more than 50 years the organization has existed. It also saw its Community Action Program funds from Tempe cut by 38 percent, as well as a 40-percent reduction of federal funds. “The number of people and demand for help with evictions has increased,” Deborah Arteaga, executive director for TCAA, told the Mirror. But funding hasn’t exactly reflected that reality and the increasing cost of housing hasn’t helped either. Kissell was elected as Justice of the Peace in 2014 and has been working cases that involve evictions since then. The district he oversees includes parts of Tempe. Most of the cases he deals with are criminal cases, but several times a month, his court becomes an eviction court, hearing arguments from tenants and landlords. “I see people trying their best who are coming up short,” Kissell said of the people who walk through his doors. That is, when people do walk through his doors. One of the biggest problems Kissell sees is people just not showing up. “If you have a court date, show up. There is no benefit to not participating,” he said. However, that isn’t always as easy as it sounds. Tenants rights advocates often argue that low-income tenants often don’t have the ability to ask for time off work or may not have transportation. “These are people often with limited resources, where a single crisis can have a major impact on their lives,” Kissell said, adding that he tries to be flexible with people going through the process, but there are a few inherent issues. First, the process is too fast. For example, a traditional civil court hearing can take months. Parties have to file their complaint, responses, motions and more. In eviction cases, the process takes considerably less time. The speed is due in part to the fact that landlords want non-paying tenants out as quickly as possible in order to find paying tenants. “Landlords want to pay their bills too,” Kissell said. TCAA is a community action program, often referred to as a CAP agency. CAP agencies are either run by cities or non-profits, and get their funds from a mixture of federal, state and local sources. In Maricopa County, each major city has its own CAP agency that focuses on the issues of poverty, housing and homelessness. TCAA has been Tempe’s CAP agency for decades, but that sole responsibility is becoming a bit of a burden. TCAA generally helps 15 households a month with rental assistance and approximately another 200 households with utility payments. Usually, the households they help are low-income mothers with young children. In any given month, TCAA gets roughly 400 phone calls from people asking for help with rent, a number that has continued to grow, Arteaga said. Tempe has the second highest rents in the Phoenix-metro area, behind only Scottsdale. It used to be that people would come to them needing help paying an $800 rental bill. Now, most rental costs are more than $1,000, Arteaga said. 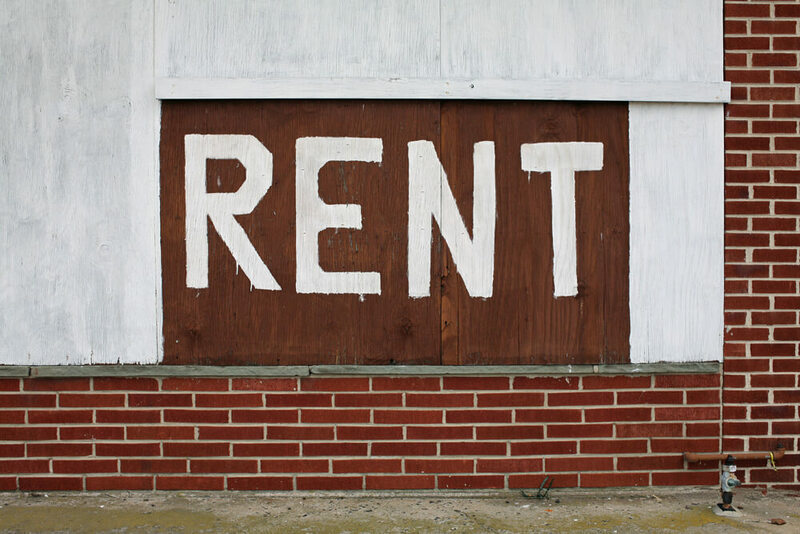 Over the past 10 years in the Phoenix-Metro area, rents have increased by 37 percent, and in the past three years, they have increased by 20 percent, according to historical rent data from RentCafe. Average costs for homeowners are going up as well. A study released by the City of Tempe last year found that the overall cost-burden average in Tempe is 36.8 percent. That means a household spends more than one-third of its income on housing, which meets the Housing and Urban Development definition for a cost-burdened household. The national average is 33 percent. Increasing rents, increasing population of the Phoenix-metro area and a decrease in funding has people like Arteaga worried. On the bright side, TCAA has begun a program aimed at helping those families who are on the verge of crisis or trying to come out of crisis learn to be more financial stable. Arizona State Senator Juan Mendez (D-Tempe) struggled with housing when he was younger. He even went through a foreclosure during the Great Recession. But Mendez was taken aback by the eviction process he witnessed as a guest in Kissell’s court. Mendez worries that the speed of the process, combined with a feeling that the deck is stacked against tenants, has left people disillusioned with the justice system, which ultimately leads to more people not participating and being harmed. “Everybody left the court defeated,” Mendez said. One of the major problems with the system, Mendez said, is the notification system. Many people who showed up during his day in Kissell’s court said they were never notified or notified late. “If I was working crazy hours just to pay the rent I wouldn’t be watching my mailbox right away,” Mendez said, adding he is interested in adding personnel who would be dedicated to ensuring people got the notices and gave them a list of their options. He sees it as a step to getting people more engaged. Another possible legislative fix, Mendez said, would be to mandate that legal counsel be available for tenants going through the eviction process. “We need people to believe in the system, and having a lawyer would give people the confidence to come to the court,” he said. Some Valley cities are already exploring the idea, Mendez said. Mendez said he has slowly been getting bipartisan support for efforts to help with the affordable housing crisis in Arizona, and hopes this session to gain even more Republican support. For now, Mendez said he is continuing to meet with constituents affected by evictions as well as landlords to try to find an equitable way to address the issues of both. “We aren’t going to fix it with a small change to the Landlord Tenant Act,” he said. AZ Min. wage $10.25 now to $12 by 2020 help is on the way and rent is only going to go up because of the Min. wage In AZ will be so high compared to other states more people will move here or Illegally Migrate here too. Is that not the “Plan” Sen. LD26 Juan José Menéndez? (Union shop Steward you will be just fine with your teaching and State Sen. pay.) you must make what nearly $100,000 per year and man that Steward pay goes up what $10,000 per year? The Socialist Chicano movement Aztlan. Lapdog of CA. Tell Thomas Steyer to fix it for you like the Tempe Solar deal he worked out with Tempe city council, AZ LD26 Rep. Isela Blanc and ASU. PAC and Super PAC money is aplenty in “The Democratic so called clean elections this year.” ($300 plus split utilities per room Landlord/Homeowner) Me.